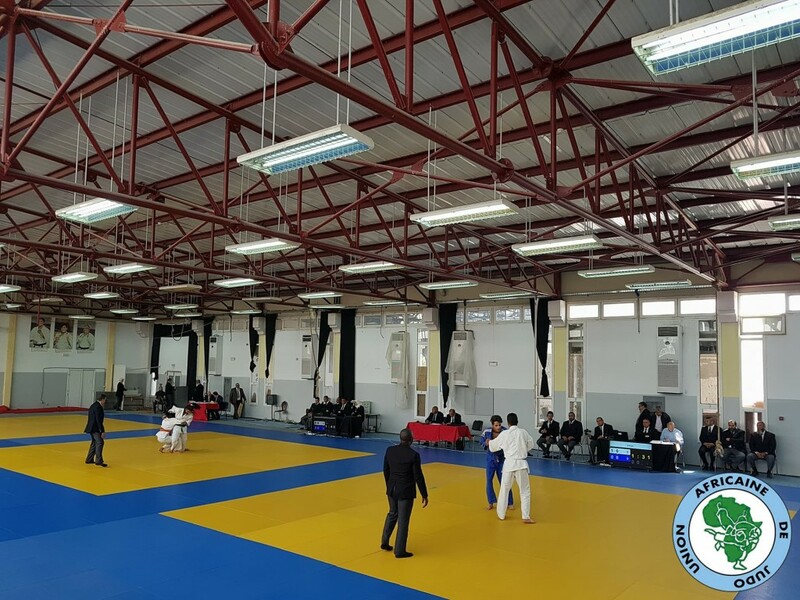 Today, 20 April 2018, the African Judo Union hosted a referee seminar and examinations at the Atee Clesjeunes Elmanzah dojo, in Tunis. The seminar was attended by over 95 referees form across Africa, namely Algeria (64), Angola (2), Lybia (3), RDC (1) and Tunis (25). All seminar attendees participated in the examination process. The session started off with a power point presentation on the new IJF referee rules where referees were taken through various changes to the rules. Referees were fully participative and engaging with the content. The seminar started at 10am and ended at 12pm where after the examinations took place. There were 95 referees in total of which 27 referees registered for Continental C, 30 referees for Continental B and 38 for Continental A. Referee commission team for Africa comprised of , Mr Mirshi Hedi (TUN) , Mr Benbada Boubker (MOR) and Mr Hlasho (RSA), who collectively assisted with the referee related matters and exams. The referees were in high spirit, they are fully involved in the matter. Mr Temba Hlasho from the AJU Referee Commission said "I am very satisfied with the standard of the referees that we have examined today and I sincerely congratulate the AJU Referee Director, Mr. Ababacar Ngom, for all his dedication to upgrading and improving the level of the referees in Africa"